There is a well know work of art that was painted in 1928 by the Belgian surrealist artist, Rene Magritte. He became well known for a number of witty and thought-provoking images. His intended goal for his work was to challenge observers’ preconditioned perceptions of reality and force viewers to become hypersensitive to their surroundings. 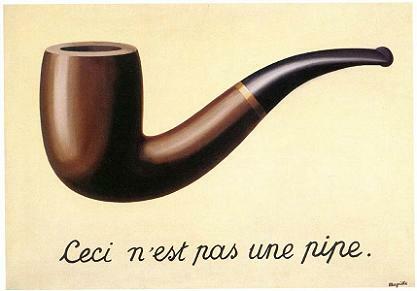 The painting is entitled “Ceci n’est pas une pipe.” Translated this means “this is not a pipe.” It is, of course not a pipe but an image of a pipe. So if you live anywhere near Carol Stream Illinois, you may have driven by this small little park located at Gary Avenue and Lies Road. Although it looks like an archeological find, the park was recently built, about five years ago, but has fallen into disrepair. It is hardly visible anymore due to the uncontrolled growth of foliage. 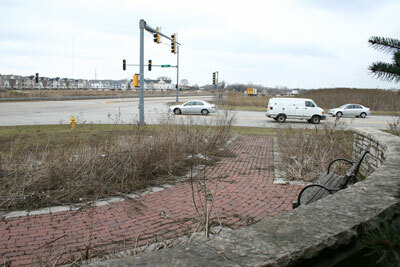 This was a formerly vacant corner, and it must have been an expensive build, new trees and landscaping, new retaining walls with masonry, new benches, a memorial plaque, and sidewalk pavers, conservatively maybe $50,000. But every time I drive by I wonder why it was built in the first place. I have never seen a person anywhere near this park, there is no bus stop, and it is completely isolated from any sort of human activity. In fact in order to reach the park I had to park about a half mile away, and walk through mud, culverts, and tall weeds. But if you could reach it, why would you want to. 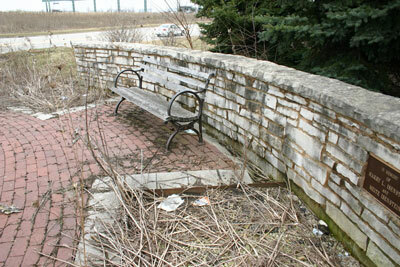 Why would you want to sit in a park that faces a major intersection? Maybe just watch some traffic on a nice Sunday afternoon? The problem is, like the painting, the park is not really a park but an image of a park. It is a three dimensional billboard put up by the misguided Village of Carol Stream to spoon-feed passers by a calculated image. But the message it really sends is that the Village of Carol Stream is more concerned about an image than actually providing amenities for their residents. It is sad that our elected officials make these kinds of decisions with our tax dollars. Build parks that nobody can use, what a waste. So what’s the bid deal, why I am making such a fuss over such a little park? Well, a park is not meant to be enjoyed from a car as you go whizzing by, it’s meant to be a place for rest, to enjoy the outdoors and connect with nature, to nurture your soul and recharge. This park is teasing you and not letting you have those things. We chose the image over the real thing. This is a cultural decision that should be questioned. Why have we chosen to replace a real experience with the image that represents it as a substitute? The idea of an image as a representation or substitute for the real is a denial of human experience. What is worse is that it is so readily accepted, and we are confused, we don’t know what’s real. “Ceci n’est pas un jardin .” This is not a park.